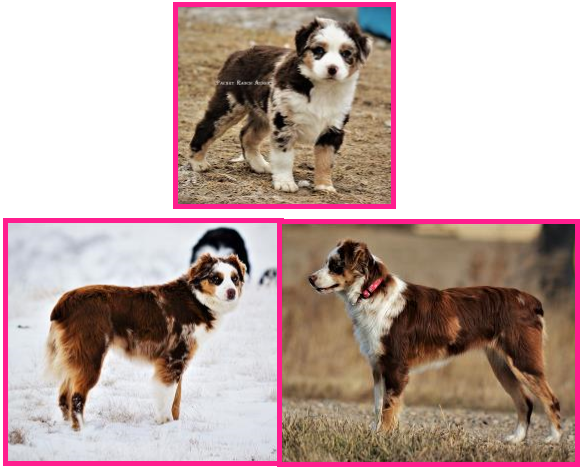 Born March 10, 2019– 7 PUPPIES! 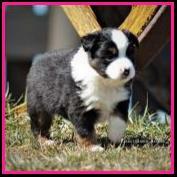 Now accepting Deposits/Holds on this litter! 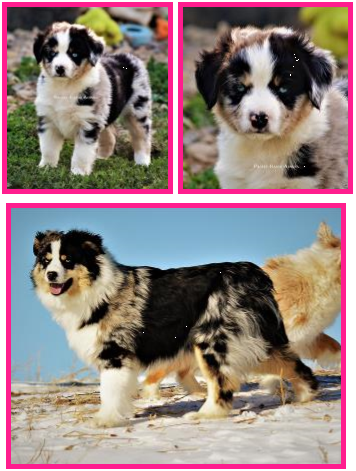 These pups will be sold as pet pups with limited registration papers on our spay/neuter contract & their price range will between $1200- to $1800- OR as breed/show pups with full registration papers (ASDR) with price range of $1800-$2500. 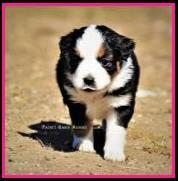 Please check out their individual pages for each pups price & pics. 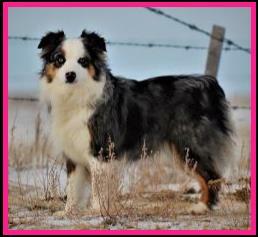 Billy is a homegrown girl from Jessie & Zane, making her a 1/2 sister to out Tiny Toy girl Spur. 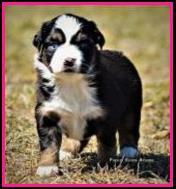 This is the first daughter of Zane that we have had a litter off of & I’m excited to see how they mature. This is Billy’s first litter for us. 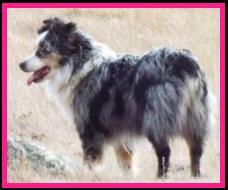 She is 15”, but her sire Zane is 19 1/2” so she does have some larger dogs in her background. 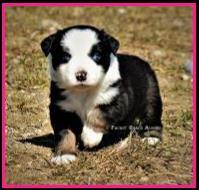 She has a lot of BET (blue eyed tri) bloodlines behind her, so I am expecting to see some blue peepers in this litter. 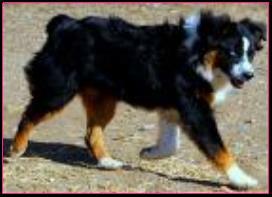 Billy is a very athletic girl that tends to be more on the shy side, but has a nice quiet personality & loves attention. Oatis stands approx. 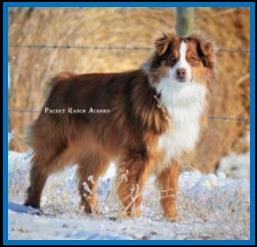 17” & is a very athletic boy that seems to have a perpetual wiggle going on. 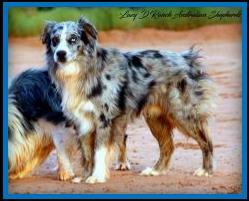 He has a VERY large Aussie personality! 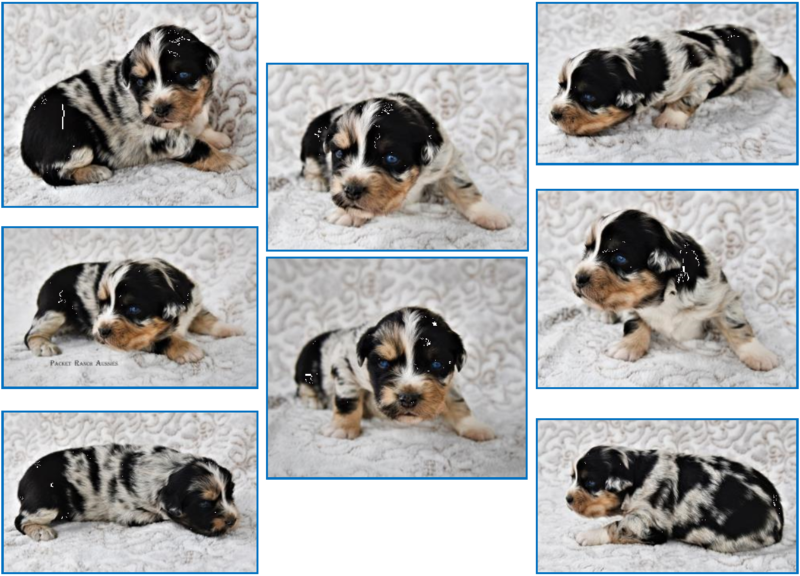 This is Oatis’ 3rd litter for us & he did a real awesome job on his previous litters that I can’t wait to see how this litter of puppies turn out…. 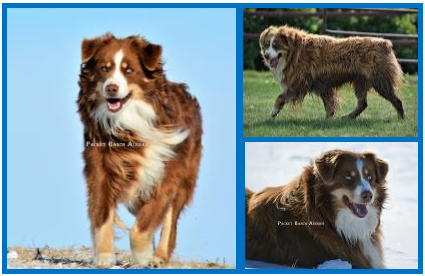 If you scroll down this page to Oatis’ photos, I have posted photos of Prairie & Heidi– the 2 girls that I kept back from his first 2 litters. I’m going to estimate that this litter will mature 15-18”, but there is the chance that some of them may end up small standards (18-20”). 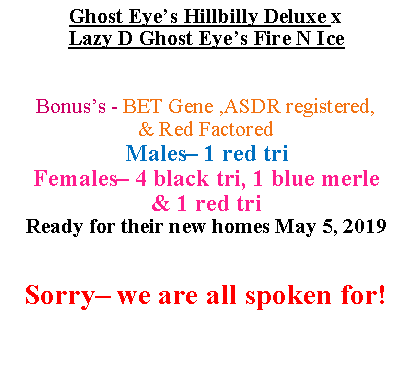 First time litter for Billy, so it is a bit of a guessing game. 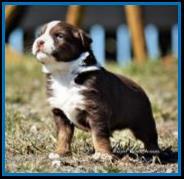 This litter should have great conformation, beautiful dispositions & tremendous athletic ability. 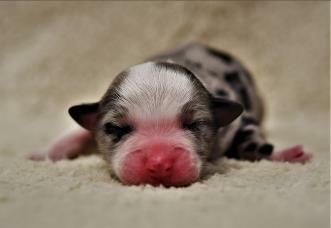 As the pups develop, you will notice a big difference as their copper comes in more & they begin to morph into puppies! 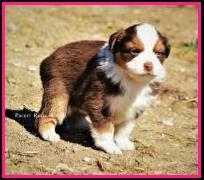 If a pup has not already been spoken for, his/her price may change as I re-evaluate it as it grows. & negative for everything else on the Aussie Panel.